On Thursday, January 17, at 8:00 pm Eastern/7:00 pm Central, join Marine Insurance expert Al Golden and find what you need to know about insuring your boat and trip. Find out who regulates it, who the main players are, what to look for in their forms, and even whether you really need insurance in the first place! This is a great opportunity to chat with an experienced cruiser and extremely knowledgeable marine insurance expert who is willing to tell it like it is! 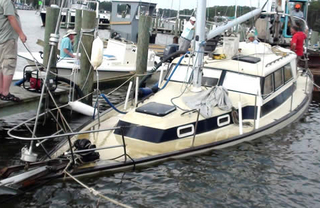 Because understanding yacht insurance is so essential to boaters and boating, GLCCSchool IS PRE-DISCOUNTING ALL REGISTRATIONS TO THIS WEBINAR TO ONLY $10.00. Additional discounts are not available for this already 50%-discounted registration price. Click here for more information and to register for What You Really, Really Need to Know About Yacht Insurance.